Prominent & Leading Manufacturer from Bhiwandi, we offer press fit - prime surface box, press fit - one surface box and press fit - lx surface box. 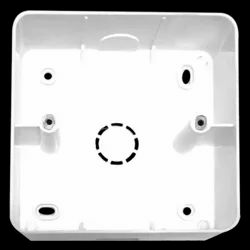 Surface Box is considered to be one of the most important structures required for electrical connections on the wall for easy access to users. It is made of sturdy polyvinyl chloride thermoplastic polymer for being crack proof & fire retardant in nature. This box is available in different dimensional & structural configurations as demanded according to the clients need. 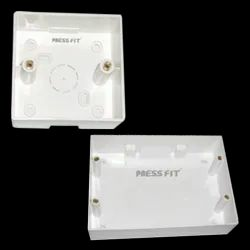 Press Fit LX Surface Box is considered to be one of the most important structures required for electrical connections on the wall for easy access to users. It is made of sturdy polyvinyl chloride thermoplastic polymer for being crack proof & fire retardant in nature. This box is available in different dimensional & structural configurations as demanded according to the clients need.